This guest post is written by Quantum SEO Labs. Several businesses are widely marketed through forums these days. Online marketers just like being on forums sharing insights and marketing their products. They use these message boards to boost their market brand awareness. 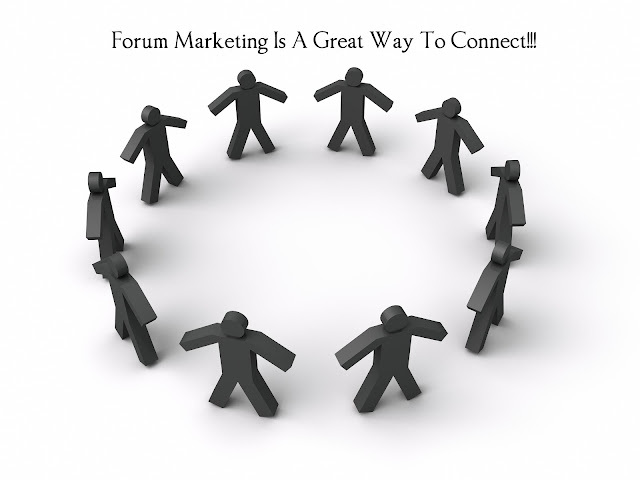 Forums are a great place for expanding your connections as well as marketing products online. One great thing about forums is being able to learn a lot of new things easily. Online marketers showcase their online products with the aid of forums. They also learn new techniques and technologies from it. Forum marketing is one thing every serious online marketer must consider. A forum refers to a group of people or a cluster of people hanging out in one place on the web to basically discuss a given topic. For instance, if you are interested in cars, you can join a vehicle forum where you will meet other like-minded car enthusiasts like yourself. Should you be selling a product that relates to cars, then this is a great place for you to get started. Searching forums is but a simple task. To easily find one, you must go to Google and type in the kind of forum you are looking for, using of course the kind of keyword or keywords you are targeting. You have to be careful when posting on various message boards especially if you are trying to promote a product. There is an unwritten rule which you must follow or you will be instantly be banned from the forum. Always read carefully the forum’s guidelines before you begin starting any post or thread for that matter. First of all, you must not blatantly post any advertisement about your new product, how great it is, and why people should be buying it. Or else, you will get tons of members getting mad at you for blatant self-promotion. An important thing you should take note of as you join a forum is the use of a signature file. Like your email, your forum account likewise has a signature. This signature appears right below every post you make on a forum. You do not want to use your forum membership to promote your product directly. But, you should use the forum to mine people straight into your own list. As they fill out the form, they will receive a report. The importance of a squeeze page is to help you create your list of subscribers for your online business. You can use this list in return to market your own products to them in ways you deem fit. It is crucial that you do not spend too much of your time on forums daily. Oftentimes, an hour or so would be great. Some people can be hooked to this kind of marketing and spend almost the whole day engaging in discussions which can be disadvantageous for you and your business. Forums are a great way for you to build a list and start making a name for yourself or your online business. But remember to always add value to other people by providing insightful posts and beginning informational threads. Forums are also a great way of networking as well as forging relationships with people who will provide you with more opportunity for growth and added income for a successful business. I hope this article has shown you the great power of forum marketing and that you too, can leverage from it. Quantum SEO Labs is a premier link building services company that offers only quality SEO services. To know more about effective search engine optimization services, visit us today at: QuantumSEOLabs.